at the 18th Air Defense Training Center. 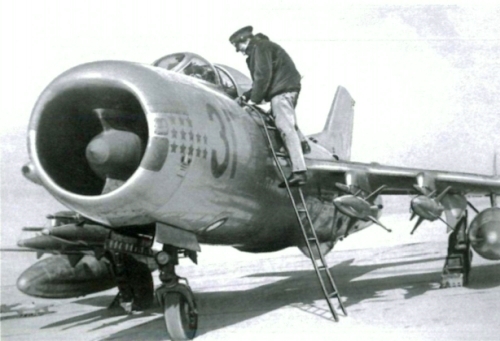 The Soviet 18th Air Defense Training Center used MiG-19PM 'Farmer-E' and MiG-17PFU 'Fresco-E' interceptor fighters between the end of the fifties and early seventies. 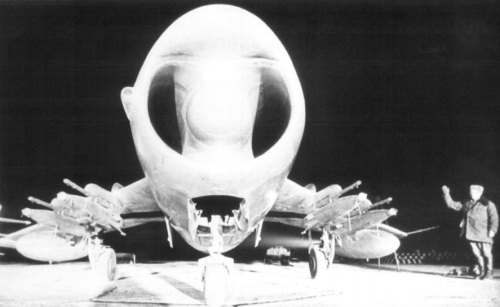 These all-weather interceptor fighter aircraft versions equipped with radar in the nose. Both model with removed cannons and armed with four RS-1U or RS-2U 'AA-1 Alkali' beam-riding missiles. 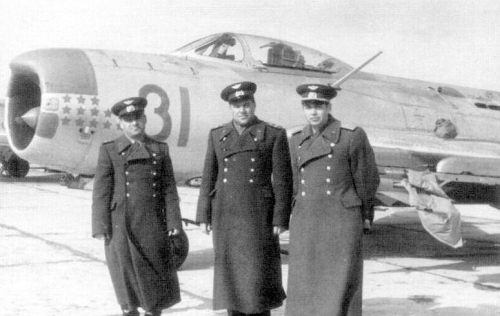 The 18th Center's 1st squadron served with MiG-17PFU 'Fresco-E', and the 2nd air squadron with MiG-19PM 'Farmer-E' at the Krasnovodsk airport . 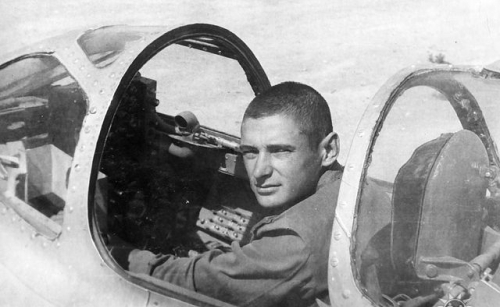 The 18th Center had 16 pcs MiG-19PM interceptor in the early sixties. 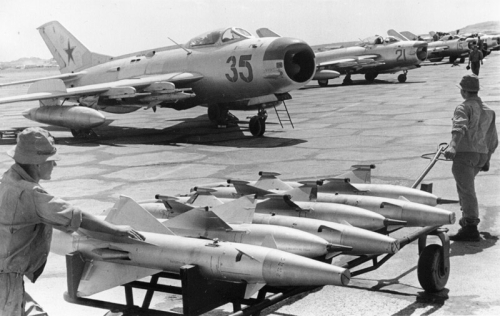 Primarily the pilots of the Soviet Air Defense Force exercised on these. 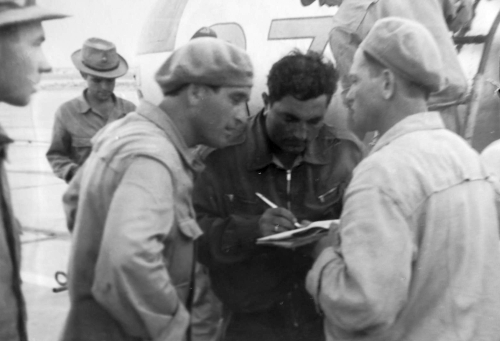 But the pilots of the Eastern European Warsaw-Pack Air Defense units used too after MiG-19PM 'Farmer-E' retraining. 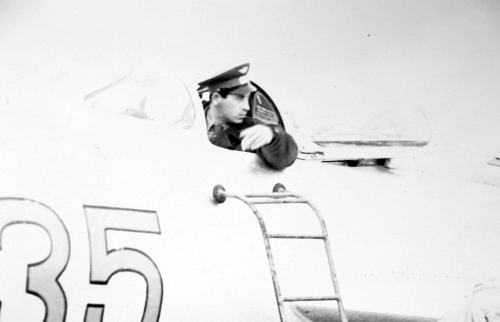 The center used Yakovlev Yak-25 'Flashlight' fighter in the sixties too than air traffic controller. 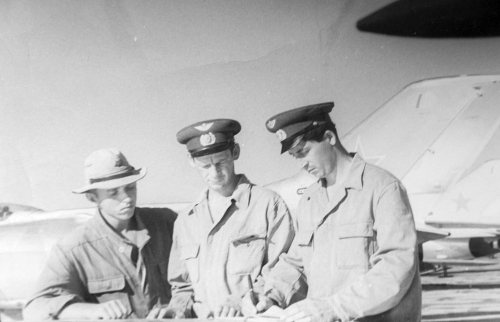 The following pictures were taken at the Soviet 18th Air Defense Training Center between the sixties and early seventies. The 18th center replaced them to MiG-23M 'Flogger-B' in the seventies.